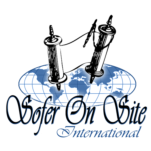 Welcome to the worldwide Torah Journey Sservices of Sofer On Site . We are excited you’re here and are glad to offer an incredibly vast range of powerful Torah services that exceeds those offered by any other. We are Sofer On Site - Scribes, Educators and Master Storytellers, and as our name suggests, we pride ourselves in being able to work on-site at your location. This is in addition to our office and workshop located in South Florida. Sofer On Site has expanded the definition of a typical Torah scribe, who merely just writes, to propelling the energy and beauty of scribing a Torah to others, as it relates to the 21st century. Each of our services are created exclusively to enrich the participants to the highest level of inspiration and Jewish commitment. Over the past 30 years, we have served communities on all five continents. Together we offer a unique and diverse educational experience. Our strength is our exceptional ability to relate to Jews of all ages and backgrounds, as we have been through the main streams of Judaism ourselves. Ready for a Torah Journey? You're just a click away. Write, Connect, Uplift The power of associating and attaching to Torah often only lasts as long as the specific sermon, class or mitzvah. Here is to energizing, joining in and growing that Torah Moment for an entire community: A Project with Sofer On Site . A Sofer On Site Project is built on one simple principle: The spirit of Torah is alive and real. All we need to do is "plug in". Unifying communal activities, community-building meaningful incentives, special family uplifting gatherings and even personal spiritual encounters create a vibe and an aura, like nothing else can. For Jewish communities of all sizes and affiliations, we are ready with over 30 years of experience to create a perfect long lasting Jewish moment - tailored just for you. Give us a call - you will be amazed! Our History is built on an age long story which continues today as it expands with many endless chapters. Sofer On Site is proud to be an integral part of Jewish history around the globe, captured in news articles, YouTube clips and TV news reports. We are also glad to partner with other Judaic leaders in their industry and bring you their links to visit. Enjoy. The Sofer On Site News is unfolding everyday. Click Here for the latest. Close to 30 years, Sofer On Site has had the honor and privilege of working with hundreds of Congregations, Temples, Synagogues, Shuls, Institutions, Schools, Universities, Museums, Medical Centers, Army Bases and ordinary and famed individual alike. All have first hand experience of the warmth, knowledge and professional expertise of Sofer On Site . Want to know who? Click Here for a short list of some of our recent valued clients. Add your name to our list!